Our client Rid-O-Mice had a clear objective – make us a video that concisely gets our core message across to home owners facing a major pest dilemma they know very little if anything about the root cause and proper fix. Make it creative, fun and to the point. Oh yeah and it needs to fit our budget. We were so pleased to put our creative minds to this project and worked with the client to ensure we too understood the core message. We exchanged ideas, passed the story board back and forth a few times then set to work on the creative and animation. Rid-O-Mice was pleased they could obtain this high quality video within their budget. It now gives them an opportunity to include this easy and fun to watch message as the first thing that organic visitors see on their website. We all know web visitors have a 7 sec attention span if they have to think to hard. The video entertains and educates them and gives them reason to stick around to buy the product. We also helped Rid-O-Mice place this strategically on many video sites for SEO purposes as well as their social networks. 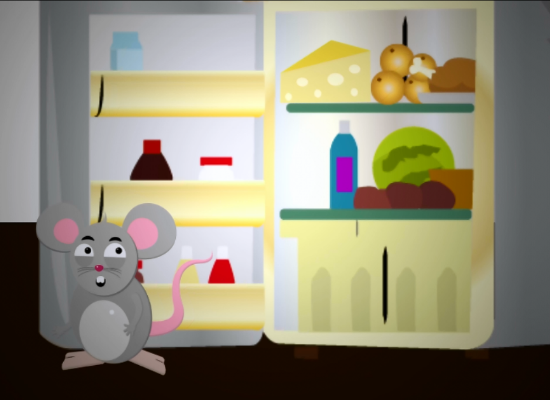 Rid-O-Mice sees this video as a boon to their business, shortens the sales cycle and gets them in the door quicker and with more credibility than ever before. Watch the video and be sure to like it.